Home | Employee Recognition and Rewards Program | 3Cheers! 3Cheers is a platform that is flexible, simple, and opens up a world of choice. We won't tell you that we know your business, but we do know people and which rewards are most motivating to them. 3Cheers will provide you with easy access to those rewards and the autonomy to create a program that suits your company. Want to see what results you can expect? Try our ROI calculator. Want to see what results you can expect? Completing the quick, 5-step account registration form. 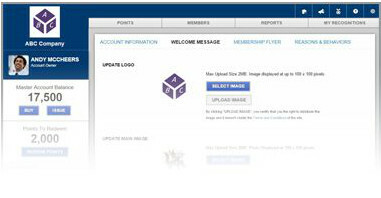 After creating your account for just $250, you will be able to personalize your account page with a logo, a business image and your own welcome message. Purchasing a points budget is an easy online purchase, backed by a secure and proven credit card processing system. 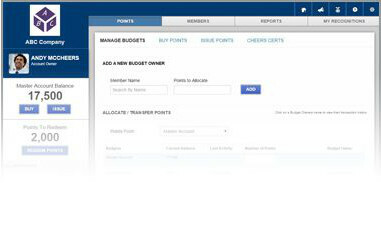 With the budget in hand, allocate points to your managers with the simplicity of online banking. Any budget owner can issue points to members for any reason – performance, sales incentives, service anniversary, or whatever lines up with your company's objectives. Issuing recognitions happens online, but delivery can happen by email and/or print. 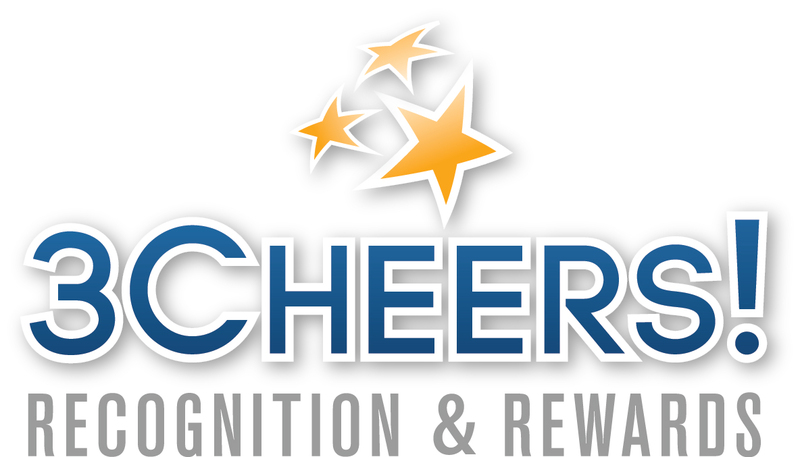 3Cheers Rewards is a collection of merchandise (3,500+ brand name items), gift cards, media downloads, and experiences. Items in the collection have been purposefully chosen to provide a motivating impact for employees. 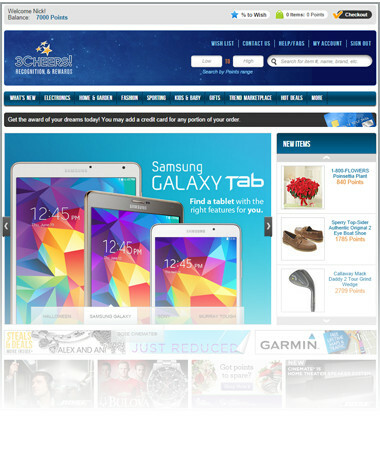 We merchandise this collection monthly with specials and featured items. 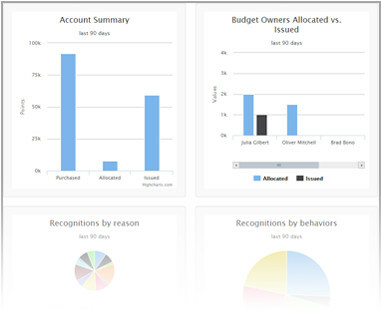 Check points balances and the use of budgets by your managers. See who is effectively using the tool and which associates are being recognized the most. 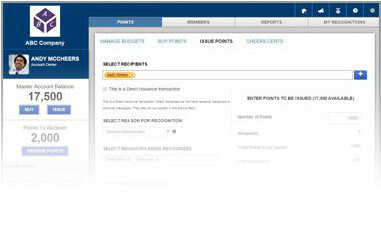 Download reports to submit to your payroll team. Employee recognition programs support retention and productivity goals by stimulating a culture of engagement. When aligned with your corporate goals, the opportunity to improve turnover and increase productivity is significant. The calculator below uses a very conservative estimate of the Cost of Turnover which keeps the ROI calculation very safe. While studies have shown the cost of turnover to be as high as 250% of average salary, we have focused on the front line where the cost is a bit lower. For this simple calculator, we estimate the cost of turnover to be 30% of average salary (based on a Cornell study in the Hospitality Industry). What is their average hourly wage? What are their average weekly hours? What is your annual employee attrition? How much would you like to improve your employee retention?